← Reading ServersCheck Status page from command line – Part 1. 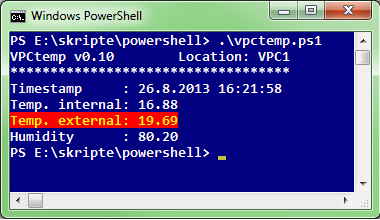 Posted on 26.08.2013, in Scripting and tagged powershell, Scripting. Bookmark the permalink. Comments Off on Reading ServersCheck Status page from command line – Part 2..